My daughter was a big fan of all things space since preschool. I thought that her interest would fade over time, but this one keeps burning strong. Right now she is very interested to know the answer to this simple question, When will we go to Mars? 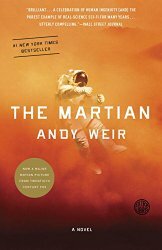 A friend of mine has mentioned The Martian to me about a year ago, before it became a major motion picture and said that she thought my daughter would like this book. She was right. 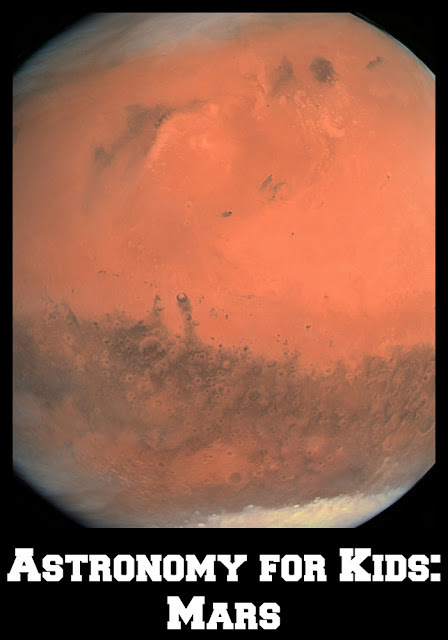 Smarty swallowed The Martian in a day, then slowed down and reread it... again, and again, and again. She said that she enjoyed Mark Watney's sense of humor and his creativity and also that the entire world was helping to bring him home. We really need more of these positive and uplifting stories about countries cooperating rather than fighting! 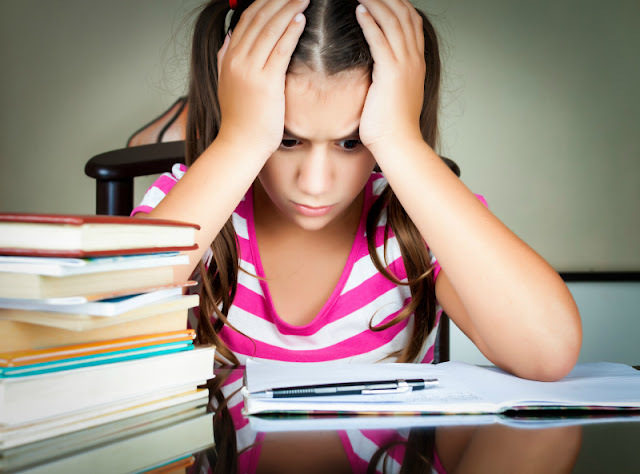 Since the book uses some "salty" language, it was a good opportunity to have a frank discussion with my 9 year old about curse words, their literal and figurative meaning, and the fact that we do not use these words in our family, not even when we are frustrated. She informed me that she would be probably using these words if she were stuck on Mark like Mark, but she did not seem to be bothered by their usage in the book. 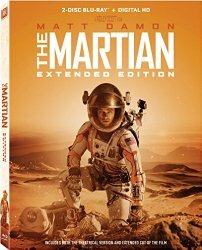 After we read the book, we also watched newly released The Martian: Extended Edition. The movie simplified the story somewhat while trying hard to keep true to the book's spirit and to the main parts of the story line. 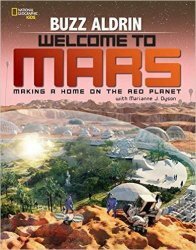 We got a new Blu-Ray mostly because of special features which included a great overview of a real NASA space program and a fascinating panel with Andy Weir, author of The Martian, and various NASA experts about challenges of going to Mars. Smarty was absolutely fascinated by all the details in these special features, but a bit disappointed that an ion drive of Hermes spacecraft in the book was a product of Andy Weir's imagination. I highly recommend getting a new Blu Ray if your child is interested either in space or in movie special effects (or both). My friend Ticia from Adventures in Mommydom also has a space fan in the house. 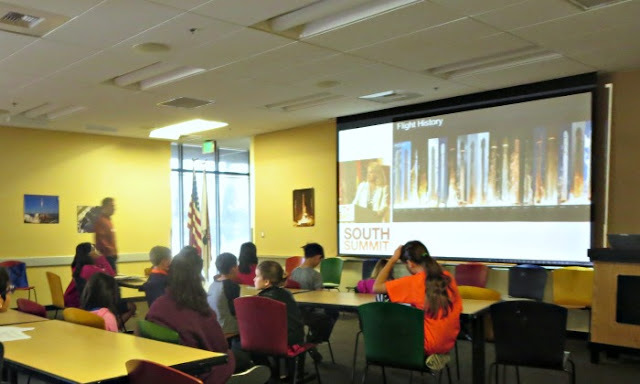 They were lucky to visit Houston Space Center and learn more about Mars program. 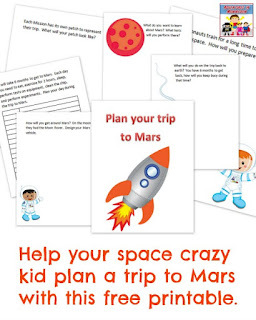 She shares this awesome printable for young Mars lovers - I am certainly going to see what kind of Mars rover might daughter might design! More Astronomy Ideas for Kids? 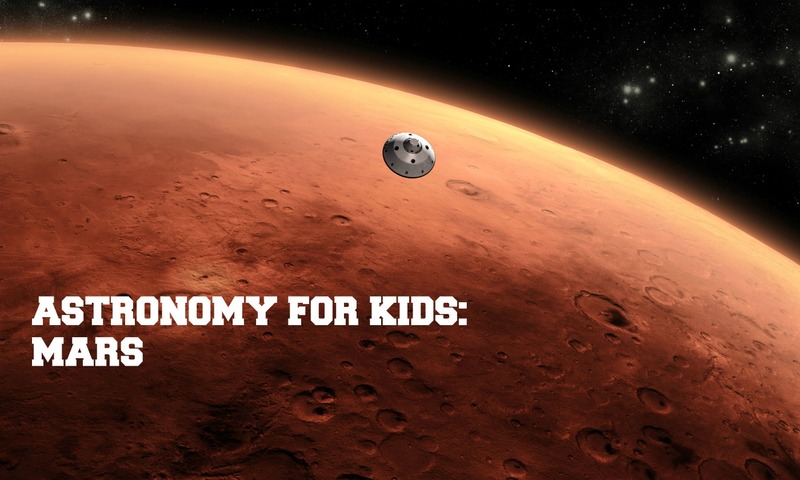 How to support your kids' interest in space? Are your kids interested in Mars program? We got an opportunity to see Space X a second time and my space crazy son was still asking all sorts of questions.